However being the champion that he is, Federer regrouped and restored balance to the force eventually coming back from a 2 set to 1 position. He described it as being able to “tidy up my play.” So cute. In the end, he beat another frenchman on his own turf Gilles Simon 6-1 4-6 2-6 6-2 6-3. Federer said the match will give him “a lot of info” heading into his quarterfinal against another Frenchman, No. 6-seeded Jo-Wilfried Tsonga. 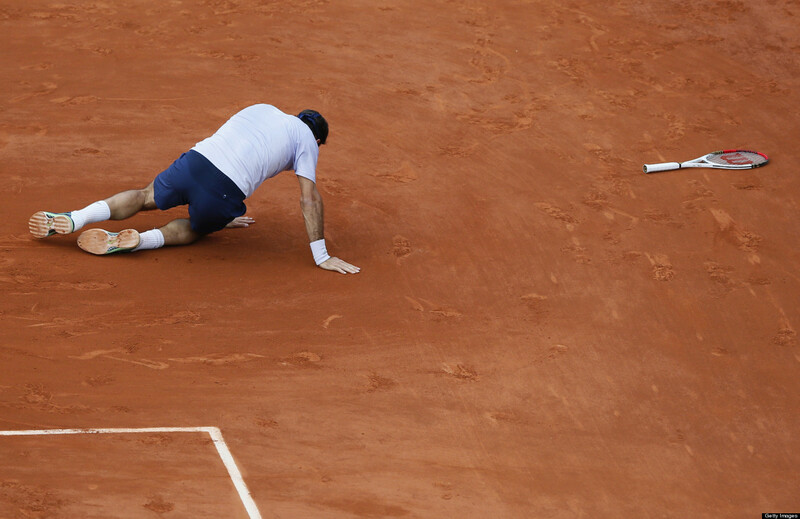 This win is historic for Federer as it is his 900th tour win and a 58th win at Roland Garros. “It was a great atmosphere in which to play like this. It became difficult in the second set as Gilles turned it around,” said Federer, who had 56 unforced errors. Roger Federer’s press conference following his victory in the 2nd round of Madrid.